Today you can secure a deal to secure your PC at Newegg. The retailer is selling a one-year, five device license for Norton Security Deluxe for $20 with coupon code EMCPSRW25. The code works with digital download and boxed versions. Norton typically sells this version of its security suite for $45 per year for five devices. 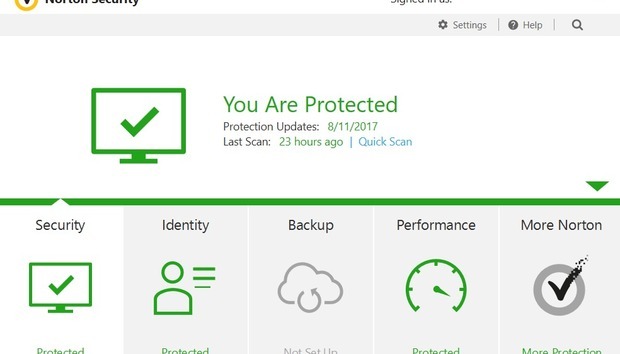 Norton Security Premium is currently PCWorld’s top antivirus pick, and Security Deluxe is a lower tier version of the same suite. With Norton Security Deluxe you can use your device licenses on Windows, PC, Mac, Android, and iOS. The suite comes with Norton’s standard anti-virus and malware protection, as well as specialized protection for financial data. Norton Security Deluxe doesn’t include any of the swanky extras that the premium version offers, such as parental controls, secure back-up, and Norton’s cloud storage. Still, at $20 to protect five devices for a year, it’s hard to beat this no-nonsense security suite.